What Happened to Blankenship and the Blue Wave? RUSH: What happened to Don Blankenship? What happened to this guy in West Virginia? The polling data told us this guy was gonna do great, that he was Trumpier than Trump. That’s what he was saying about himself, and the Drive-Bys and everybody were telling us that this Blankenship guy, he was gonna run away with it because this is what voters think Trump is, and then Trump goes out there and endorses everybody but Blankenship. Blankenship barely shows up when the election returns are in. He was not even a factor. And here’s our old buddy Nate Silver at FiveThirtyEight: “Internal ‘polls’ supposedly showing Blankenship surging may have been [BS] all along and driven a false narrative about the election.” You think? You think somebody might have been making this up? The network pollsters, the polling units and the Drive-By Media carrying the message forward? You think it might have been fake? Tell me this: How much is real? We have two independent media analyses now. Media Research Center continues with theirs: Trump negative coverage 91%. The Annenberg School, the Shorenstein Center, whatever it is — this is, I think, University of Philadelphia somewhere — has concluded Trump’s coverage is negative 90% of the time, no matter where you go. And they are not a conservative organization. So I mean it’s patently obvious what’s going on. Even the release of these three American hostages in North Korea has been greeted today in the Drive-By Media by glum, emotionless reporting all over the place. At NBC on the Today show, Lester Holt in reporting the Iran deal pullout said everything but (impression) “Death to America! Death to America!” in his report. If he’d have ended by saying “Death to America!”, then he would have been no different than the way it’s being reported in Iran and elsewhere. RUSH: Let’s go and a quick review of the election returns last night. Big blue wave, eh? Big blue wave! Where was this big blue wave gonna come from? You know where they really talk about that coming from? They think the Democrats are gonna go back and retake Wisconsin, Illinois, Ohio, all these blue states that Trump won in, because these people realize they made a mistake. 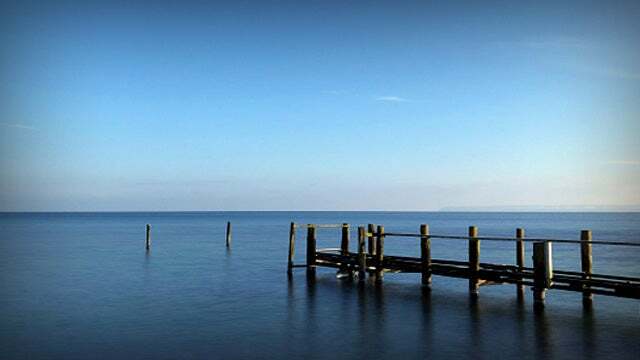 Ohio, places like that. We’ve been told that the Democrats, they have all the energy. “They can’t wait to get out there and vote. The Democrats hate Trump, and they’re so motivated. They’re so energized. “I mean, they’re being held back only by the law. If they could vote today, they would vote today. They can’t wait to get out there and vote!” Well, in Ohio, 147,301 more Republicans turned out to vote statewide than did the Democrats. What blue wave? Where is all of this so-called pent-up enthusiasm, motivation, desire to go out and vote? The Republicans had 147,301 more voters than Democrats in Ohio yesterday. This means there is less Democrat enthusiasm. Hating Trump, that kind of emotion simply humanly cannot be sustained. RUSH: Lou Ann in Reedsville, West Virginia. Great to have. I’m glad you waited. I appreciate your patience, Lou Ann. CALLER: Well, thank you, Rush. Here I thought my charger was gonna die. (chuckles) But I’m happy you finally got to me. The reason why I called is because of Don Blankenship, his campaign for the Senate. He had… He’s a good man. He’s a good conservative person. The problem is, he had so much stuff around him because of the regulations Obama put on the coal mines which he had one, and it placed a traumatic situation. Some miners died, and he just couldn’t handle the fallout. And I feel bad, but Obama is still wreaking havoc here in West Virginia. RUSH: Well, it’s no doubt that Obama decimated or tried to decimate the coal industry. I don’t know Blankenship. I only know of his history in the coal business. But I do know that you’re not… Lou Ann, you’re not gonna go very far by calling Mitch McConnell “Cocaine Mitch” on the basis that his wife is Chinese and has a relationship with Chinese cocaine gangs using China white heroin. It just isn’t gonna fly. It isn’t gonna take you very far. And what the media tried to do, folks — and even Nate Silver at FiveThirtyEight has finally figured this out. These media people literally thought Blankenship was polling well! They thought Blankenship might win this! They wanted Blankenship to win it, and they wanted to then say that Blankenship was Trump. Well, now we have the election returns, and it wasn’t even close, and now Nate Silver as FiveThirtyEight.com says, “You know what? “I think these internal polls that showing Blankenship is doing well were BS all along.” You think, Nate? You think maybe it was garbage in, garbage out? 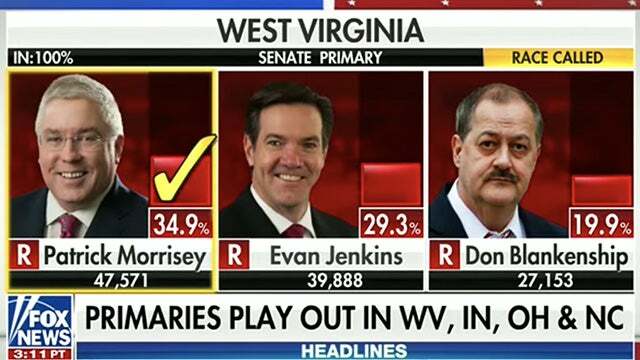 It was classic media operation here, to try to portray this guy as Trump and then have him win and suggest the people of West Virginia are a bunch of bigots too. But it blew up on ’em — like everything is, it seems. RUSH: The one thing I didn’t spend as much time on as I intended was the election results. But the bottom line is, there was no sign of a blue wave last night or yesterday in any of these elections. In fact, in Ohio the Republicans had a greater than 100,000 voter-turnout edge over the Democrats who are supposedly motivated, inspired, and can’t wait to vote. But the Republicans outdid ’em in intensity and number.